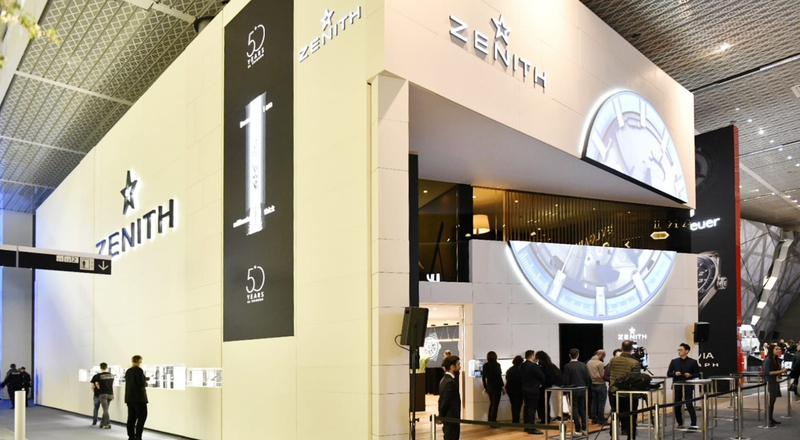 Zenith has pursued its vision of revolutionizing mechanical watchmaking since 1865. Since the design of its El Primero calibre – which became a legendary movement in the world of watchmaking – the Manufacture has ceaselessly innovated to achieve unprecedented precision. 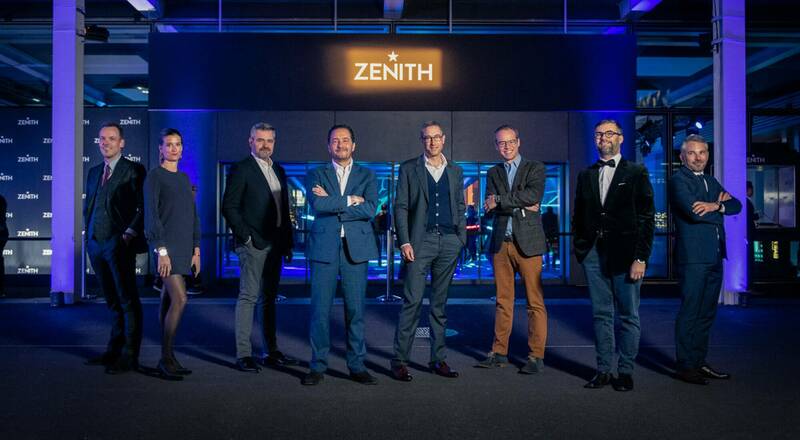 In 2017 Zenith wrote a new chapter in its history with the launch of the DEFY El Primero 21, an extraordinary chronograph able to measure time with a precision of 1/100th of a second. 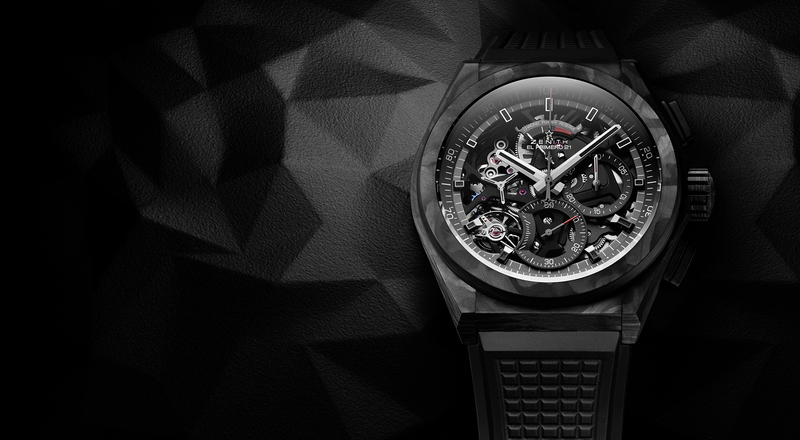 Today Zenith breaks new ground with a futuristic iteration of the chronograph wristwatch, the DEFY El Primero 21 Carbon. A high-performance calibre of course deserves a resolutely contemporary design, both high-tech and forward-facing. Lightweight and robust carbon fiber is used for the case, the crown and the chronograph pushers. Creating a captivating visual effect, alternating layers of randomly arranged carbon fibers make each case unique. 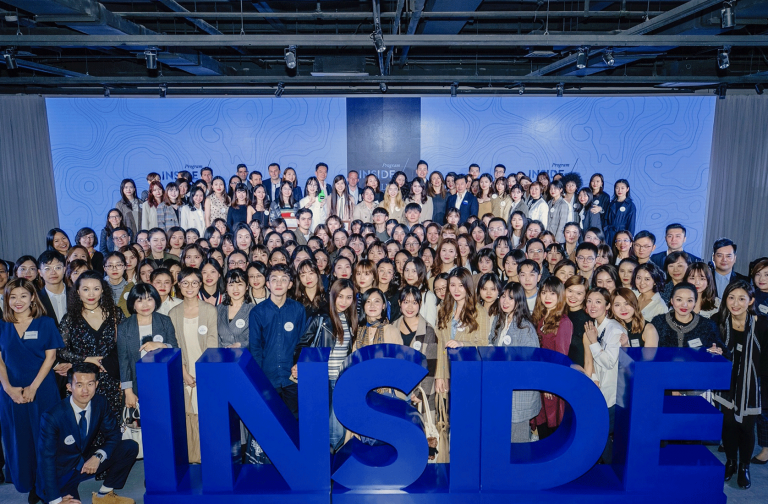 Zenith also revealed the latest addition to its DEFY collection, the DEFY Inventor. At the heart of the new model is DEFY Lab, an “archetype” developed in 2017 with a chronometer regulated by a revolutionary oscillator and issued in a limited edition of only 10 pieces. 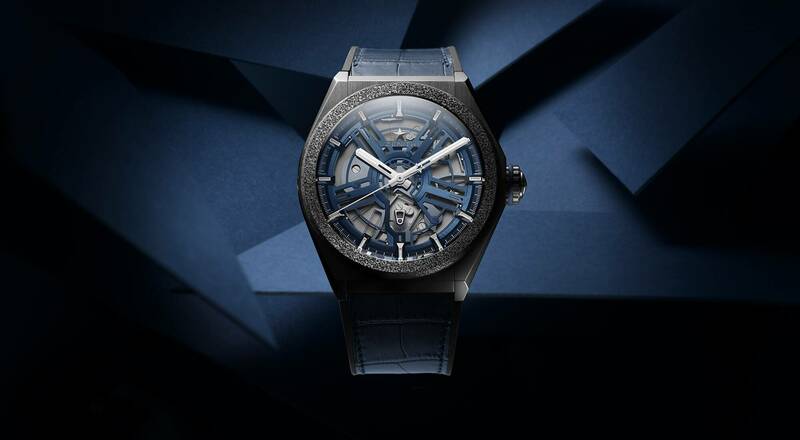 In 2019 the archetype has evolved into the DEFY Inventor, an avant-garde three-hand watch that is now series produced – another industrial tour de force for the Swiss Manufacture. The strategic component in the DEFY Inventor is the single-piece Zenith Oscillator, developed and patented by the Maison through a disruptive scientific approach. A major innovation for the watchmaking industry, this oscillator replaces the traditional sprung balance and offers exceptional performance, increased chronometric precision and insensitivity to both temperature variations and magnetic fields. The exterior of the DEFY Inventor is equally avant-garde, featuring an architectural aesthetic carved out from ultra-light materials such as Aeronith, the lightest aluminum composite in the world. The airy openwork dial evokes the five branches of the Zenith star. Secured to the wrist by a black rubber strap with a midnight blue alligator coating, it has a stylized appeal for discerning urban aesthetes.